The News. Here. Right now! First off we have a Code Geass Movie, with the story continuing after the "death" of Lelouch (Spoiler? It's been years since it was released. You only have yourself to blame if you still haven't watched it), Returning characters are sure to appear such as C.C., Nunnally, Kallen (I think I saw here there in the video) and nobody's favorite character Suzaku as... Zero? That doesn't sound... great but if you like the sound of that, you do you buddy. Also, here's the thing. Some of the fans insisted that Lelouch somehow managed to cheat death itself and became immortal! Or something like that. So thanks to the upcoming movie, the age old question of if he is really still alive or not will finally be answered! Or are they just pulling a fast one on us and just using that theory for people to see the movie? Touche. 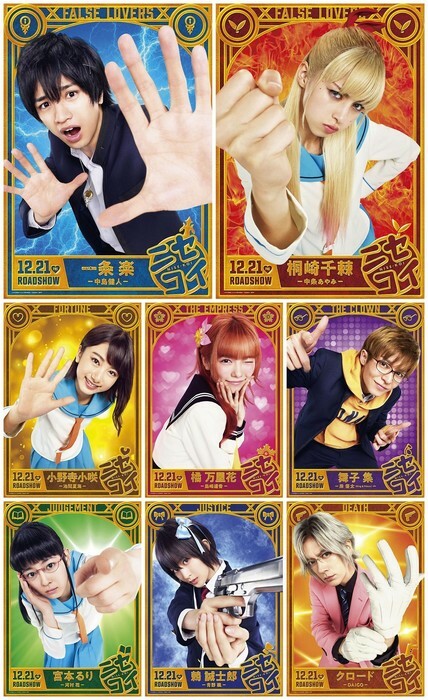 Due to Popular Demands, Nisekoi, Live Action! It feels so long ago when I thought about how Live action adaptions of anime series would be so much better if they actually tried to recreate the characters' appearance from the anime into the real life counterparts but yeah, that really was a long time ago since I feel differently now... Anyway, Nisekoi Live Action everybody! It's the same story with state of the art 3D characters! What more can you ask for? Are you digging these recent Live Action movies? Why or why not? For me, it's something I'll probably watch if there's nothing else on. Like if you're stuck in a plane, too lazy to use your own laptop or phone to seek entertainment, you decide to browse the movie selection they have on board and since you already watched the hit movies before you decided to look deeper, eventually finding a movie called Assassination Classroom Live Action. Bottomline is... it was decent, I guess. I've been waiting for a sequel to R2 for years. Through those times, there were rumors about the series getting another season but they were just false rumors. Because of that, I am not that hype for the upcoming movie but will still watch it either way. Also, for me, the ending of R2 was so perfect that Lelouch being alive might change how I felt about the ending. Nisekoi, meh. In general, I'm not that hype with live action. If ye doth not thinketh, it is a flower; if ye doth, it is not. Great Teacher Onizuka and Kimi ni Todoke were both really good as live action. Death Note was not so great as LA. I guess it's worth a look, but some stories are better told as Anime format. The Live action for Nisekoi looks great, can't wait to watch it. Isn't Lelouch of the Resurrection movie a sequel to the trilogy movie that they made? It's a complete alternative setting for the original series, so this won't solve anything regarding EP25's ending. It's an open ending and it's fine that way, if you ask me. Don't get me wrong though, I'm in the side where Lelouch lives in the original series. Late greetings, but Happy new year, everyone! All hail Lelouch. All hail OS! Last edited by Gunshi; 01-04-2019 at 10:12 AM. I hope it is better than my expectation.